Walking around SXSW (and a lot of walking that is, let me tell you), you can’t go five minutes without seeing some sort of virtual reality (VR) or augmented reality (AR) installation. 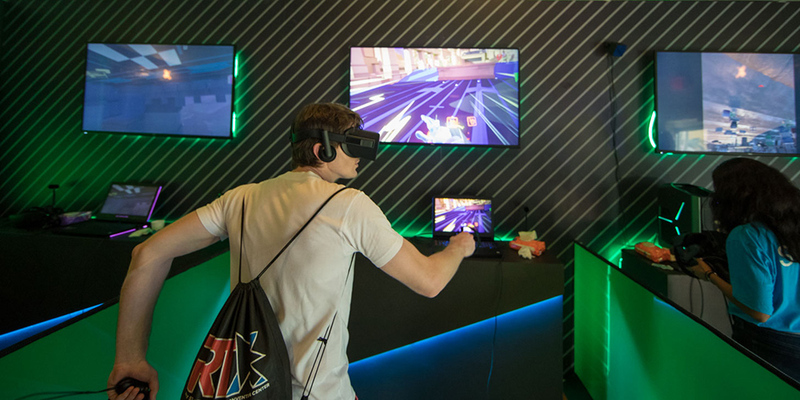 Our own #DellExperience has no fewer than three different VR or mixed reality experiences event attendees can check out. It’s not necessarily the hot new, break-out thing that everyone hopes to find at this annual mix of industry conferences, trade shows and festivals, though. VR’s been here for years, so it’s easy to dismiss as no big deal. That would be looking at it from the short-term, gimmick point of view. “However, new ways of using AR and VR have emerged to prove that there is a place for this technology outside of 360 videos and shooting zombies that makes it a far more enduring technology than some of the naysayers at the start made it out to be,” Dell’s VR Guru Gary Radburn noted earlier this year. To help illustrate this we pulled together a panel of innovators who have found ways to use this technology to address larger societal issues ranging from treating veterans with PTSD to influencing policy around caring for our oceans. The key element that connects these is the immersive capability of VR. It can do way more than just make your stomach flip like you’re on a roller coaster, it can take you places you’d never go and make invisible people real to you. Ten years ago when I was building giant Dell computers you could walk through in Second Life, de la Peña was building a virtual prison there that allowed users to be incarcerated and subjected to torture techniques in order to bring attention to human rights violations. “VR is the ultimate Skinner box,” said Dr. Skip Rizzo explaining why it was the right medium for the work he is doing to help veterans face their issues after their nervous system becomes tuned for threat. Exposure therapy – where PTSD sufferers are pushed to tell their story over and over in a safe environment – is the way to ultimately reduce their anxiety. By building out 14 different virtual worlds that resemble real places military veterans have experienced trauma, they’ve been able to transport them back to the scene to get through things they didn’t think they could before. “When given the choice, 75 percent pick the VR option [over talking with an individual therapist],” noted Rizzo. He hopes to bring this sort of therapy to civilian first responders in the future, and also leverage it to train them before they are exposed to trauma so that they will be better equipped to handle it later. 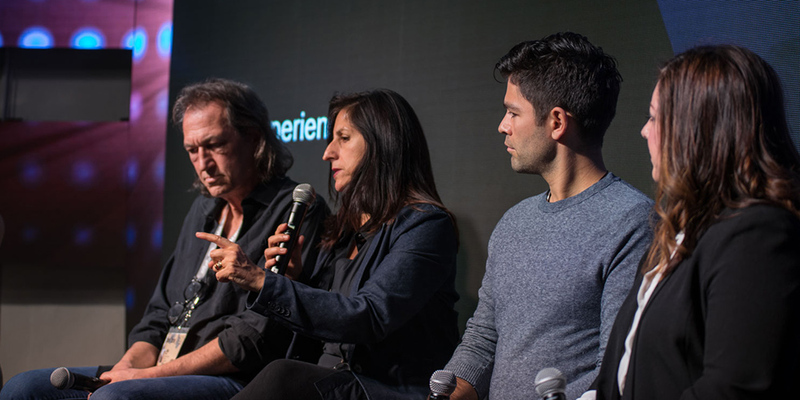 Other use cases of VR for good discussed by this panel included our Social Good Advocate Adrian Grenier talking about how adding vibration to the experience enabled users to hear the Lonely Whale who otherwise couldn’t be heard because of the low frequency with which he communicates. And Vice President Global Supply Chain Sustainability at Dell, Jennifer Allison, shared how we use virtual reality to open the doors to our suppliers’ and our own manufacturing facilities; allowing customers to see first-hand how our products are made and the people who make them.